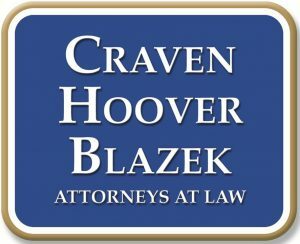 Signs that Your Loved One is Suffering from Nursing Home Neglect | Craven, Hoover, & Blazek P.C. ← On What Grounds Can a Personal Injury Victim Recover Compensation? There are thousands of nursing and assisted living homes located all across the county. It has proven to be an industry that is high in demand, and continues to grow in numbers each year. Assisted living centers and nursing homes are widely advantageous for the elder populations, and can alleviate mounds of pressure from relatives and loved ones. With the growing numbers of homes and centers, it is only obvious that the numbers of elders living in these homes continue to increase as well. We only want the best for our elderly family members and loved ones; so when we suspect negligence or abuse within these centers, devastation is only expected. Following these suspicions should be a comprehensive investigation to ensure that your loved one is being properly cared for. Learn the common signs and indications that generally point to nursing home neglect and elder abuse. 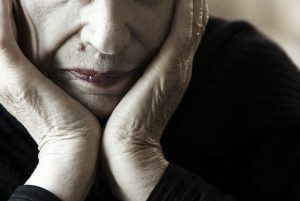 If you find that abuse or neglect has occurred, it is time to consult an elder abuse lawyer to file a lawsuit against the home or organization. There are several forms of abuse that can occur within a nursing home, or while in the care of an assisted living professional. At the same time, there are also several forms of negligence that can occur as well. Not treating health problems, failure to provide sanitary living conditions, withholding food and water, physical abuse, sexual abuse, emotional abuse, stealing money, and much more are all examples of common nursing home abuse or neglect. Instead of deciphering the difference between the two, it is better to simple decide if abuse or negligence is taking place at all. Sometimes the elderly cannot communicate with us regarding their care. If you suspect that your elderly loved one is experiencing nursing home neglect or abuse of any kind, be sure to take abrupt and responsible actions. Contact the police and an Indianapolis Elder Abuse Attorney to better solidify your case and protect your loved one from further abuse. neglect lawsuit in Indianapolis, IN today. This entry was posted in Elder Abuse and tagged elder abuse lawsuit, elder abuse lawyer, Indianapolis elder abuse attorneys, Indianapolis elderly abuse lawyer, Indianapolis nursing home neglect, nursing home lawyer, nursing home neglect lawsuit. Bookmark the permalink.